The Will of Rot is a 3-page hexcrawl adventure set in the Forests of Mohln. The woodlands are in crisis. On the southern border, the human town of Timberwick is suffering from a blight on its crops, and mysterious creatures killing its livestock. To the east, the Vash are becoming addicted to a new local delicacy populating the forest, and within, Mother Mohln and her children are falling victim to an infestation of fungus. 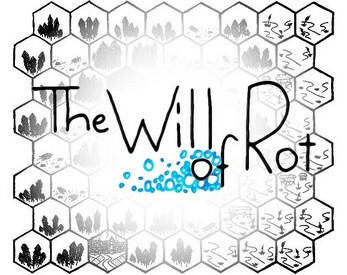 The Will of Rot is about an ecosystem being disrupted by an alien force. Throw it into your campaign world with ease, or run it as a standalone mystery! 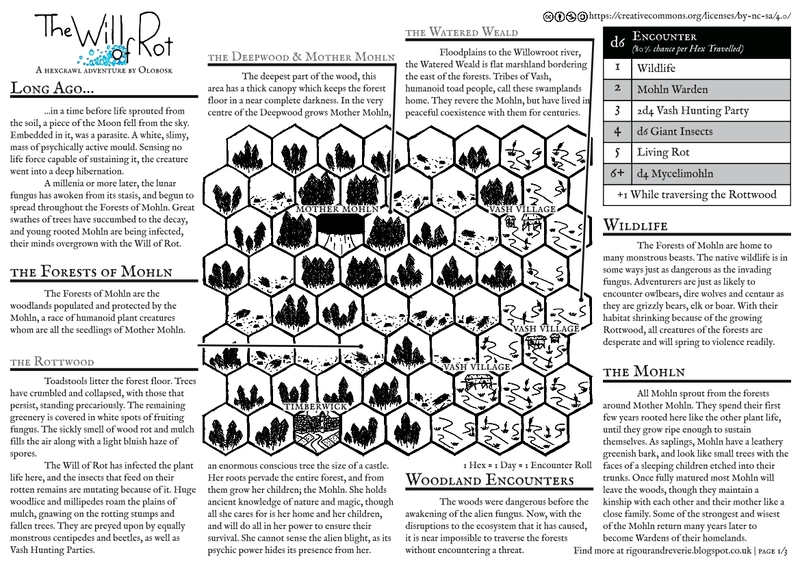 3 distinct terrain types to explore; The Deepwood, the Rottwood and the Watered Weald. A mystery to unravel as your players explore the woodlands and encounter its residence. The town of Timberwick - A simple human settlement struggling against forces beyond its control. The Mohln - A race of sentient plant people, suffering from a mysterious blight. 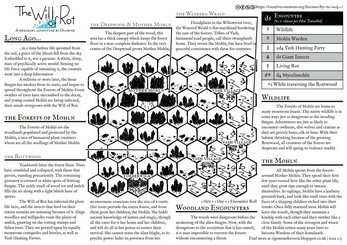 The Vash - Toad people addicted to the mutant insects emerging from the Rottwood. 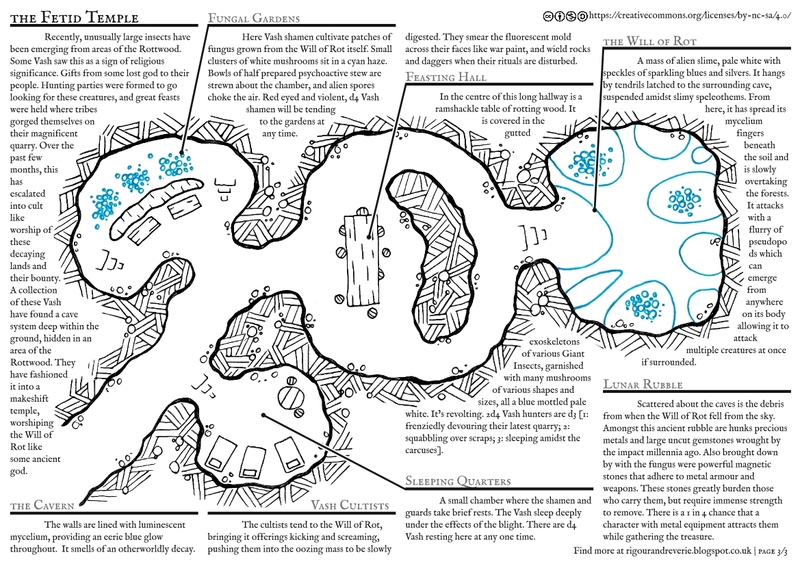 The Fetid Temple - A one page dungeon, hiding the alien secret within. 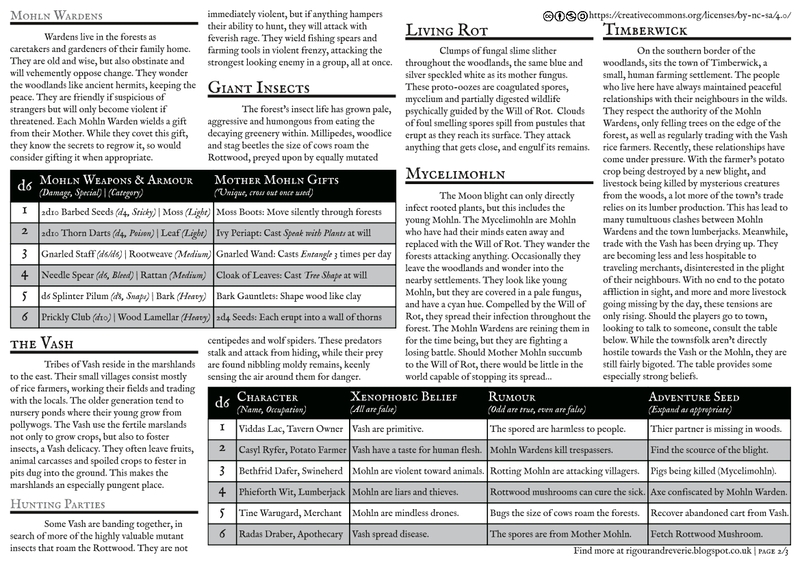 Tables for generating encounters, townspeople and Mohln Wardens. 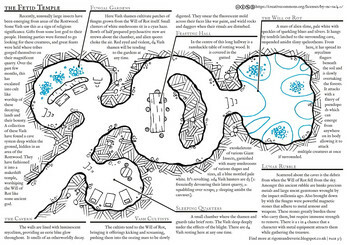 Includes player faceing maps to print or for your VTT. 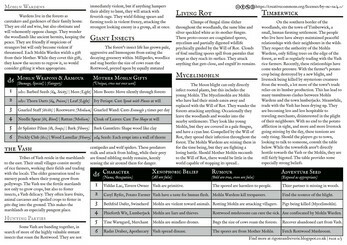 This adventure is stat-less and designed to be used with any roleplaying system, but assumes an OSR (Old School D&D) type game.